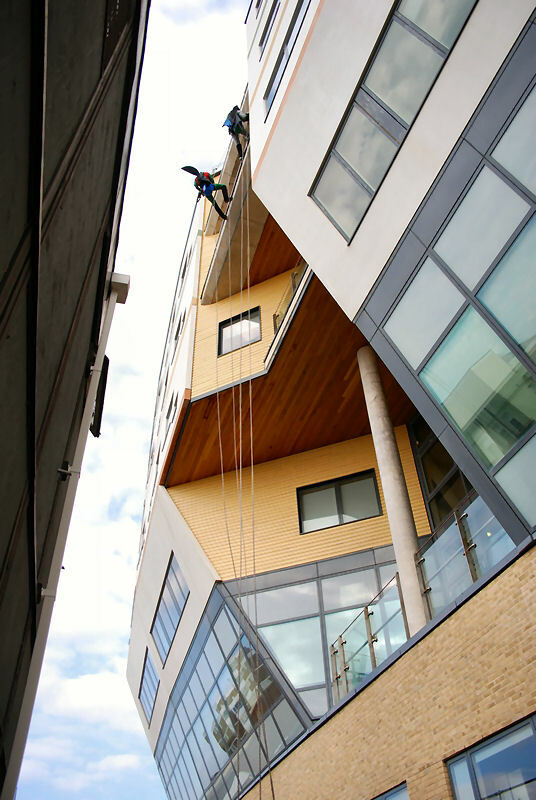 Holy abseiling Batman - this is a long way up! 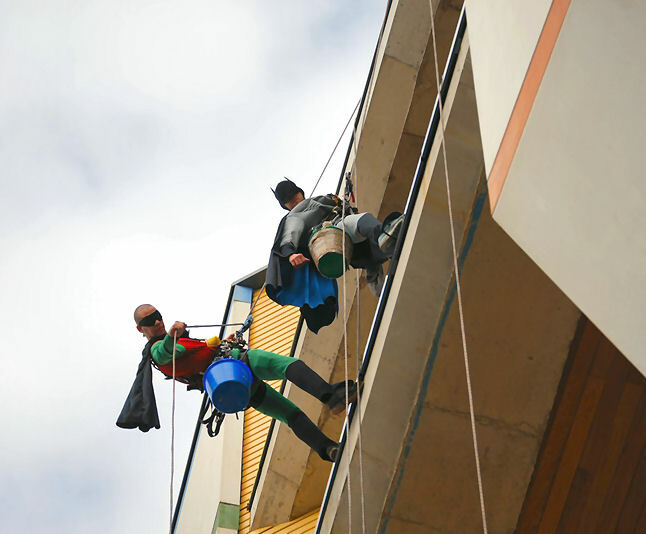 The new Royal Alexandra Children’s Hospital in Eastern Road had some very special visitors this weekend. The hospital which was previously located in Dyke Road, opened in June this year and is a state-of-the-art design costing £36 million. It is one of only seven dedicated to paediatric care in the UK. 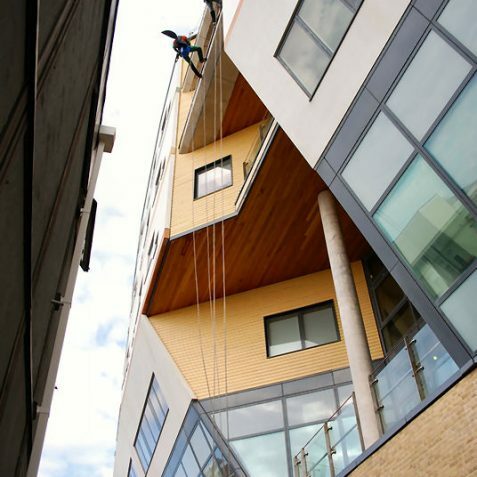 The nine-storey building has been designed in the shape of an ark and includes beds for up to 100 patients, 15 outpatient consulting rooms, three operating theatres and a cancer care day centre. 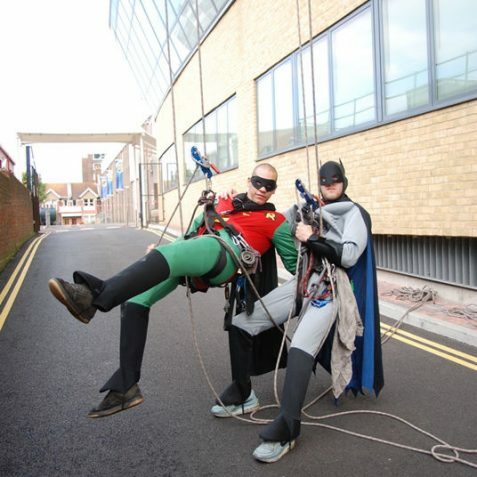 So imagine everyone’s surprise, not least of all the young patients in the wards, when Batman and Robin were to be seen abseiling up the walls. 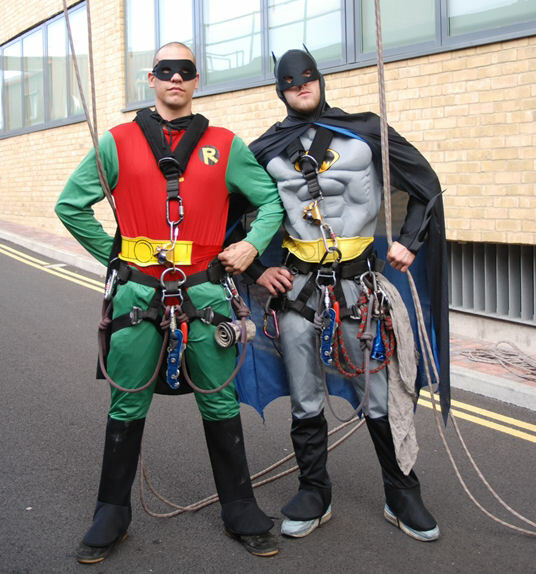 Batman (aka Ian Mitchell) and his trusty side-kick Robin (aka Wayne Ascott) are part of the maintence company that keep the building ‘ship shape’. 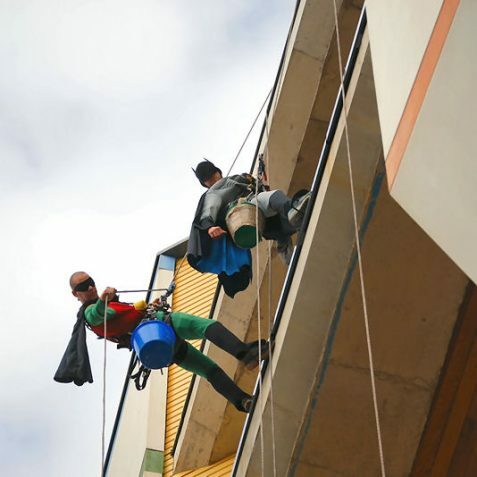 They dressed up for the day just to give the children a treat and make them smile. 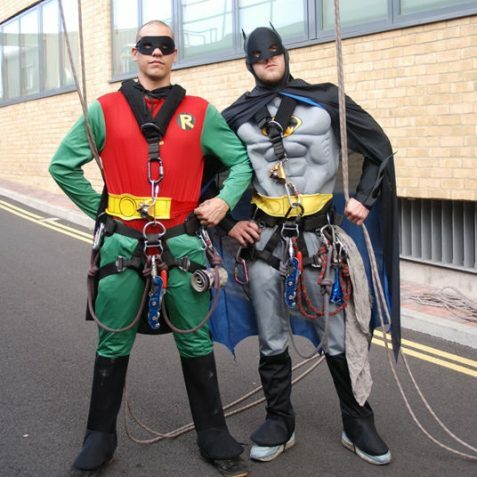 Well done the dynamic duo.